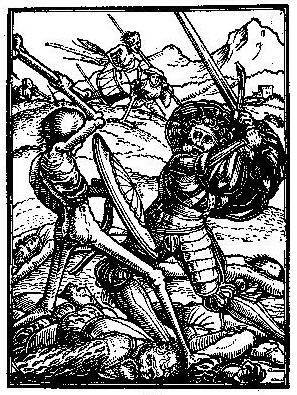 He is engaged in unequal combat with Death, who simply attacks him with a bone. On the ground lie some of his demolished companions. In the distance, Death is beating a drum, and leading on a company of soldiers to battle.